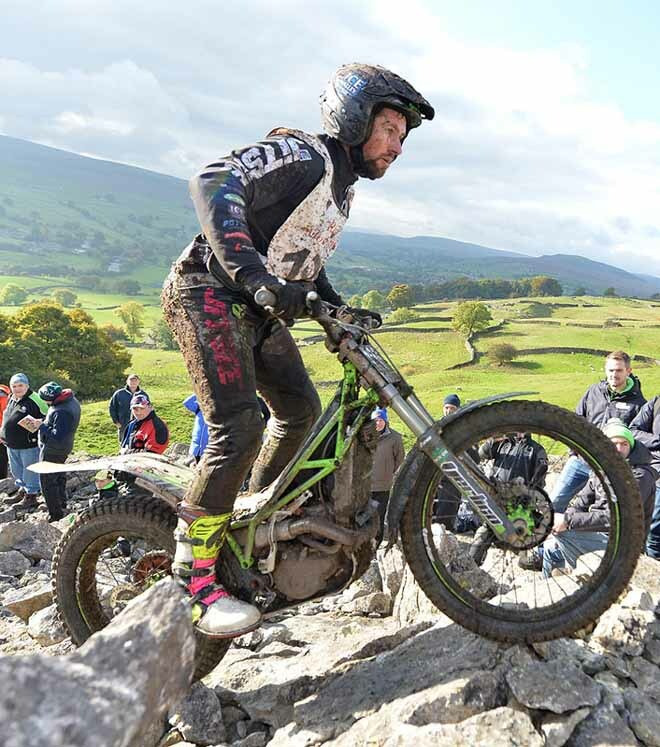 Factory Vertigo rider James Dabill added yet another famous victory to the already impressive list of triumphs for the relatively young Spanish company as he won the famous Scott Trial held in the north Yorkshire hills. Still regarded as the toughest single day Trial in the World, the winner of the Scott Trial is determined on both speed and skill, with the final scores being a combination of time penalties and observation marks incurred over the seventy-six sections and eighty tough miles. As is becoming the case on an ever more frequent basis, the fuel injection two-stroke Combat proved its pedigree and performance, not to mention its reliability as once again it came out on top. Already a two-time winner of this classic and long standing British event, Dabill came into the 2016 edition as one of the favourites alongside his Vertigo teammate Dougie Lampkin who himself has also won this ultimate test of man and machine on no less than four previous occasions. Whilst Lampkin was able to extend his winning run to an amazing ten wins at the Scottish Six Days Trial (SSDT) earlier this year, he was unable to add to his Scott Trial tally when he came off worse following a tussle with a rock late on in this year's event. Dougie was very much in contention until a heavy impact with a boulder not only obliterated his gear lever but also caused irreparable damage to the internal gear selector shaft too. Jammed in first gear cruelly Lampkin was forced to retire within sight of the finish and after having enjoyed a good day on observation. In contrast Dabill enjoyed a relatively trouble free day only needing to adjust his chain that had become slack during the latter stages at Shaw Gutter before then opting to continue to the finish with a badly damaged gear lever having himself struck a rock whilst fighting his way across Fremington Edge. Whilst fast over the ground, as he finished just eleven minutes slower than standard time set by local rider Jonathan Richardson, Dabill's main winning attribute was his solid performance on observation. Losing just thirty-two marks in the seventy-plus sections, James was the best on observation and when his eleven time penalties were added to his tally, Dabill took the win on a total of forty-three marks which was ten marks better than runner-up from Michael Brown as this duo ended the day well clear of Guy Kendrew who was a surprise occupier of the last podium place. Delighted to have claimed a hat-trick of wins at this famous event Dabill spoke after stepping up to collect the iconic trophy for a third time. "After having spoken to several riders at the finish I was quietly confident as everyone seemed to have dropped a lot of marks in the sections, but you are never absolutely sure until your name is finally read out. It is a great way to end the year by winning the Scott as it is still one of the hardest events to win." "Each time I have won the Scott I have had no real problems, you need a hassle free day and you need everything to go to plan and that's what has happened today. My bike has run brilliantly and was great in the sections, once again I would like to say a big thank you to Dougie and the rest of the Vertigo team for helping take my third Scott win." James Dabill (Vertigo) ha scritto per la terza volta il suo nome nella massacrante gara inglese, che si tiene ogni anno in questo perdiodo nel nord delle colline dello Yorkshire. Una gara famosa perchè è molto importante la velocità. Chi primo arriva, determina il tempo totale di gara e per tutti gli altri scattano pesanti punti per il tempo.Un giro solo lungo 80 miglia con 77 zone. Secondo Michael Brown (Gas Gas) davanti a Guy Kendrew. 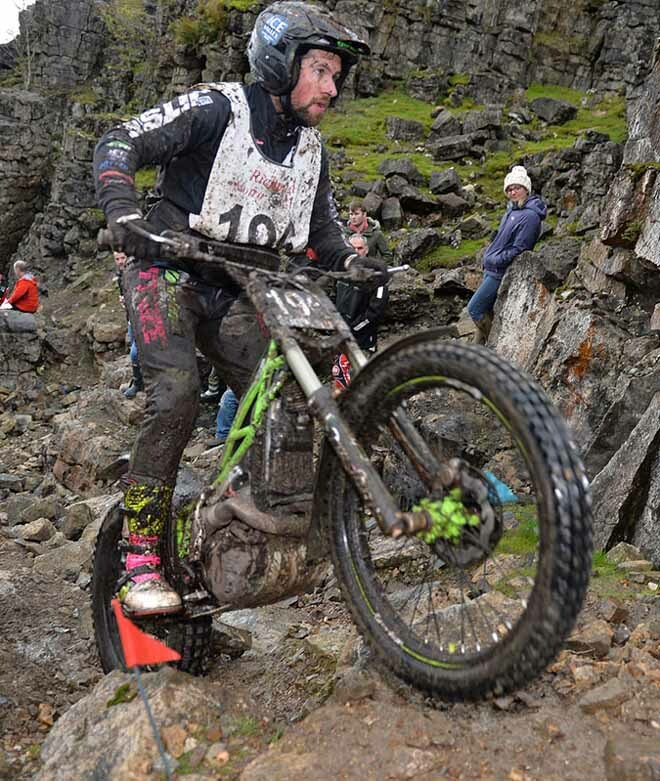 Dougie Lampkin ha dovuto ritirarsi dopo aver rotto il selettore del cambio contro una roccia.